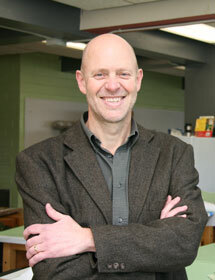 Dr. Robert D. Brown is a faculty member in the Department of Landscape Architecture and Urban Planning at Texas A&M. He directs the Microclimate Design Laboratory, whose researchers explore how landscape designers can manipulate air temperature, humidity, wind, solar and terrestrial radiation to create comfortable outdoor spaces. Professor Brown was awarded the title in March 2018 of University Professor Emeritus in Landscape Architecture at the University of Guelph and also serves in the capacity of associated graduate faculty member. Brown earned a bachelor of geography degree from the University of Saskatchewan, and a master of landscape architecture and a Ph.D. in micrometeorology from the University of Guelph, where he taught in the Landscape Architecture program from 1985-2016.